StudioPRO Photography Studio Stage Film Light Stand Sandbags are great for securing the bases of light stands, c-stands, tripods, set walls, or any other equipment around your set. 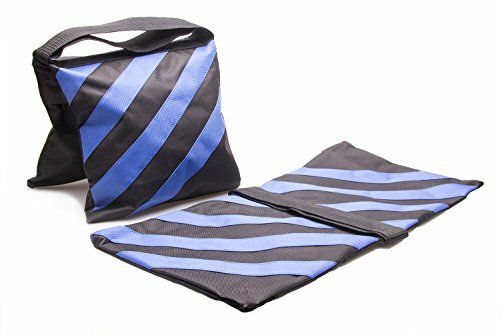 This is a set of four empty sandbags each with two zipper closures per pocket. Each StudioPRO sandbag has two wings, to allow draping over light stand legs. Fill each bag with sand or other weights for studio use or use found sand or rocks from on location shoots to save some heavy lifting. They are used for securing the bases of light stands and set walls.